guerilla artist. but not the graffiti/destructive type. and by the way, i'm a freaking genius at making origami cranes. it was all that paper folding practice i tell ya! looked it up on youtube. now i'm pro. this lady is a real good teacher. best one i found. finals are over (phewph!) and i want to take a nap. what a fun thing to do! love this. I've always wondered what kind of people randomly decorate trees, etc. Now I know. Was it an assignment or were you just decompressing after finals? How fun! Love the color against the winter background! I bet that tree cheered up a few cold people walking down that street. 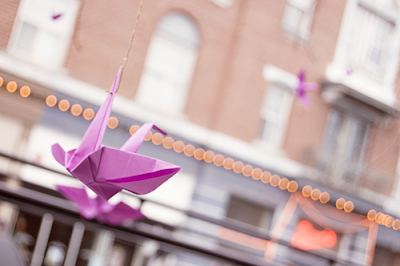 Geri I tried to find your purple cranes! they must have flown away!!! were they in front of porters? 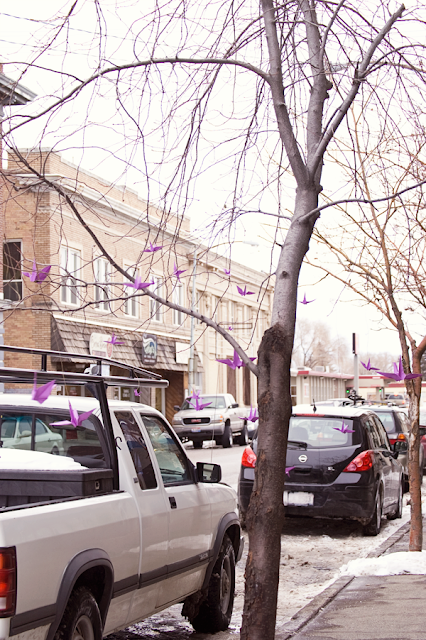 i made the cranes for an advanced type project (i to write a booklet on guerilla art). they were in front of porters. it took lots and lots of hours. but now i can make one rockin piece of origami! ah! i love it. do it again, please! This totally makes me want to do that!! 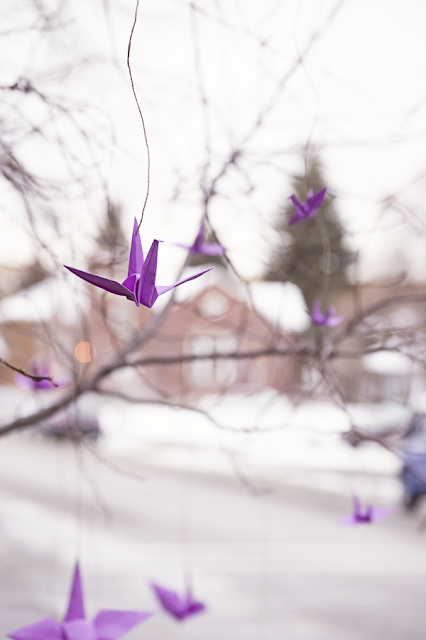 That is so much fun and makes the tree look happy in the winter!